Handlebar drop by default is the vertical distance from the center of the saddle to the center of the handlebar. However, this measurement does not necessarily have to start at the center of the saddle. 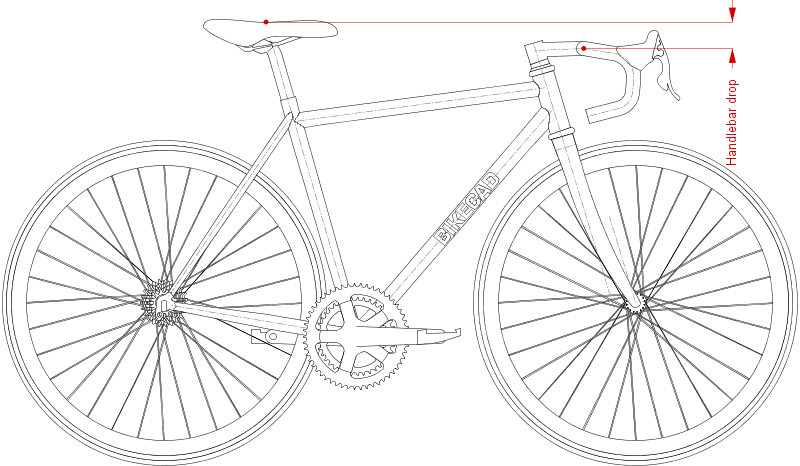 The location on the saddle can be changed by altering the saddle reference point. There is also a variation on this dimension that goes to the top surface of the handlebar rather than the center of the handlebar.